Start by fueling up at one of the best brunch spots in the city: Café 21, just a few blocks from the property at the north end of the Gaslamp District. I always order the tiramisu pancakes with mascarpone cheese and the pesto omelet — so delicious! Next, I suggest going on a walking tour of the Gaslamp District. I love the area’s diverse architecture and the great stories behind the buildings. A century ago, the neighborhood was called the Stingaree and had a Wild West feel to it. Nowadays, I like to imagine myself as Wyatt Earp walking through the Stingaree, checking out the scene. When you reach the south end of downtown, hop on the Green Line Santee trolley and get off just a couple of stops later at the Little Italy station. 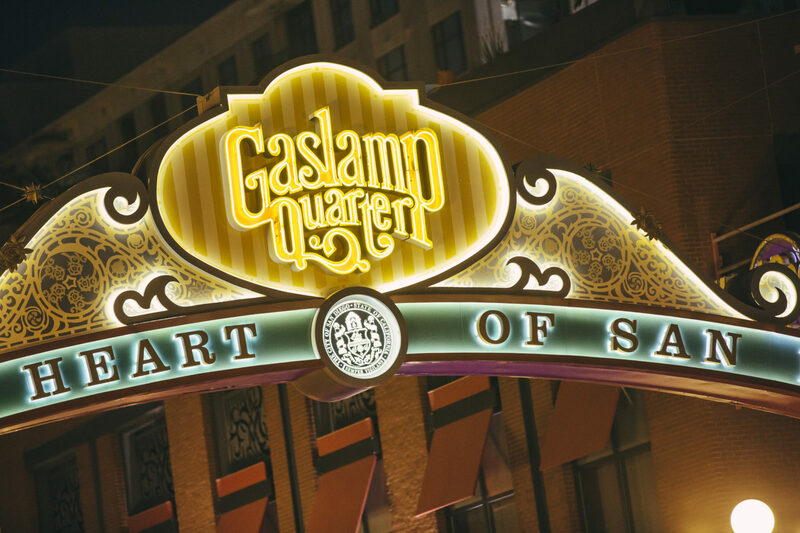 At Marriott Vacation Club Pulse, San Diego, I conduct weekly tours of the historic Gaslamp district beginning at the property. Or you can pick up a do-it-yourself walking tour guide of the district from the concierge desk. By now, it’s time for a late lunch. A sit-down meal would eat up too much time (pun intended), so I recommend going to hit the Little Italy Food Hall. With six locally-driven food stations and a full bar serving local beers, you’ll find culinary delights for every taste. Not Not Tacos is usually my go-to spot, where I pick up an eggplant parmesan taco and a Kelly’s shrimp taco. After lunch, grab dessert at Salt and Straw, a half block away from the food hall. The almond brittle with almond ganache is my personal favorite, but the Belching Beaver peanut butter stout with chocolate chicharron is a close second. 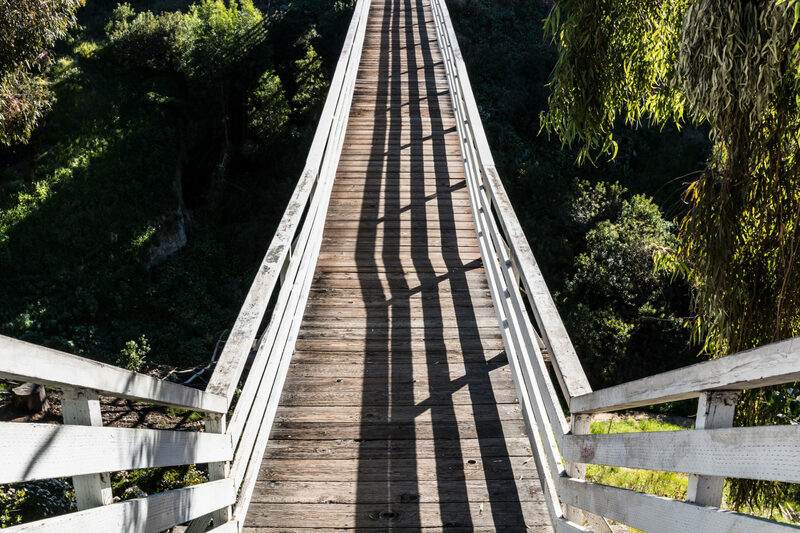 With ice cream in hand, head north past Little Italy and take the Maple Canyon trail a half mile toward the Quince Street Bridge, a wooden trestle pedestrian bridge. On this trail, you may spot the lovely laurel sumac trees, lemonadeberry bushes, blue gum eucalyptus trees, prickly pear cactuses and date palms. I always marvel at the steel arches of the First Avenue Bridge before crossing the Quince Street Bridge into Balboa Park. Take a detour two blocks from the Quince Street Bridge to the Spruce Street Suspension Bridge for a great photo op in the treetops. One of the best ways to experience Balboa Park is by simply wandering through the gardens, museums and buildings. I visit at least once a week, and I still discover new charming nooks and scenic spots. My first stop is usually the Trees for Health Garden where you can see, touch and smell 70 different healing plants and trees. 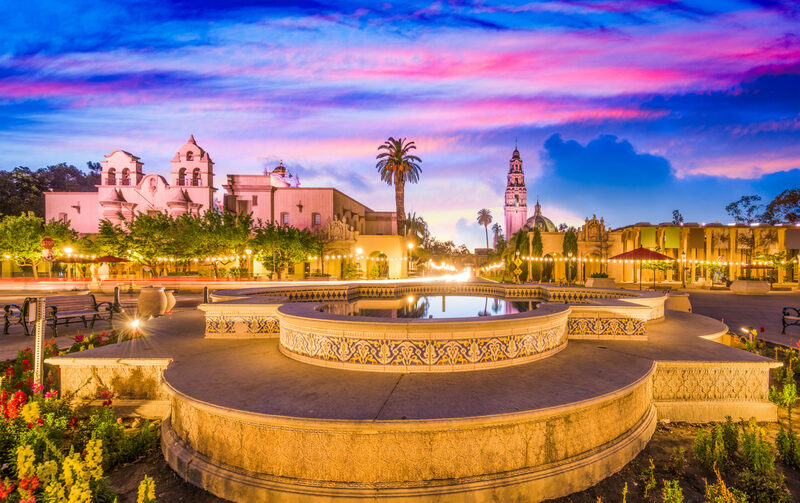 Heading south, stop and say hello to the mother of Balboa Park, Kate Sessions, and San Diego’s founders, Alonzo Horton, Ephraim Morse and George Marston. Steps away from these statues is the Cabrillo Bridge entrance into the famous El Prado strip of the park. Take a few minutes to look down from the bridge at the cars racing along the bottom of the canyon on CA-163. Sometimes, I even try to imagine what it must have looked like back when it was a giant city water well and cattle grazing area. 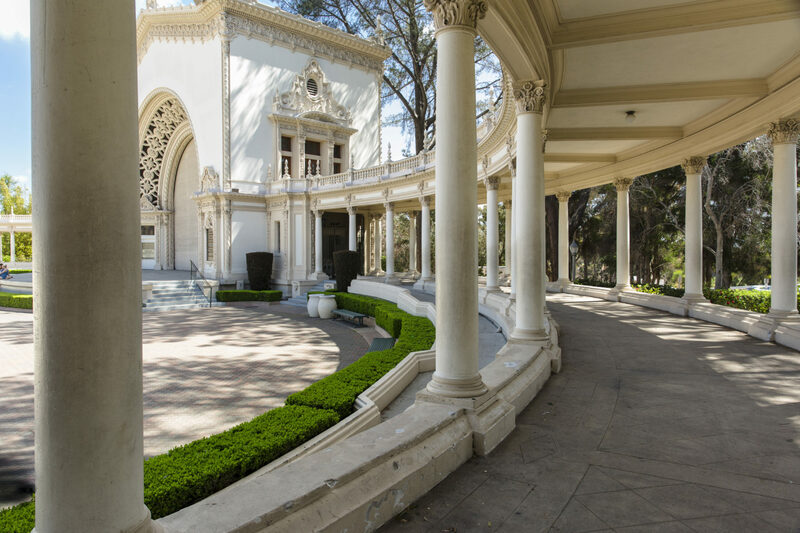 Next, cross under the arched entranceway into El Prado, and you’ll find yourself in a Spanish-Colonial-style courtyard bordered by the Museum of Man and Alcazar Garden. In the latter, I like to sit alongside one of the Moorish-style fountains and take in the view of the tower and the thousands of flowers carefully curated for each season. My favorite garden area, however, is Palm Canyon — landscaped with 450 fan palms, date palms and giant Moreton Bay fig trees with magnificent roots cascading down the canyon walls. Walking through this park as the wind blows through the trees is one of the most peaceful activities in San Diego. After exploring the park, dine at historic restaurant The Prado or at the more casual Panama 66, both located near the Plaza de Panama fountain. If it’s a Wednesday night, you’ll find me in Copley Auditorium at the San Diego Museum of Art (behind Panama 66), sipping Cabernet and listening to live jazz by the famously talented Gilbert Castellanos and friends. It’s a satisfying way to unwind after a day of exploring San Diego. 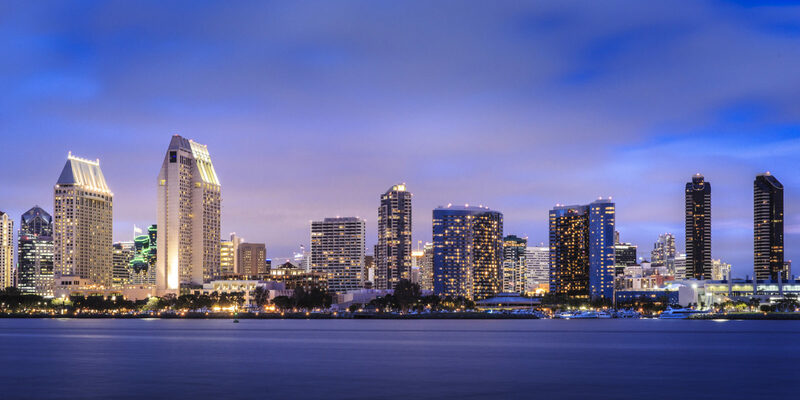 Ben B. is the City Experience Ambassador for Marriott Vacation Club Pulse, San Diego.